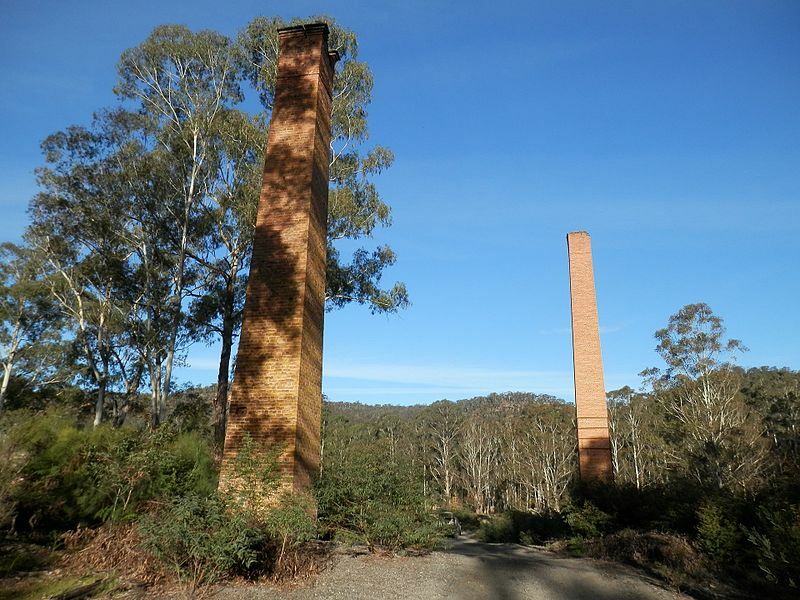 Joadja is a historical, heritage-listed town, now in ruins, in a secluded valley in NSW’s Southern Highlands. It was a once a thriving mining town built to mine kerosene shale in the valley it’s located in. Its glory days were from 1870 to the early 1900s, when more than a thousand people lived in the town. These days, though, all that remains are a few remnants of houses, a school, some chimneys, a small cemetery and the ovens used to manufacture kerosene. But it’s not just history and a step back in time that are on offer in Joadja. If food and wine are more your thing, the region has plenty to offer you as well. Read on to find out more. Joadja during busier times (c. 1885). Photo: Wikimedia Commons. On several occasions throughout the year, either by appointment or on scheduled open days, visitors are encouraged to visit and explore the historic town. The remains of the old buildings in Joadja can still be seen, including the miner’s cottages, a schoolhouse, a church, a cemetery and shale ovens for the refinement of kerosene which have a World Heritage listing. If you can get yourself onto a fully guided tour, you’ll get a 90-minute experience on a purpose-built people mover which will take you to more than ten sites where you can get up close to the abandoned structures while the guide explains the fascinating history of the region. For details of access to the site, scheduled open days and weekend tours call (02) 4878 5129 or visit the Joadja Town website. If there are no tours scheduled for when you’re visiting, there are plenty of other things to do in the area. Joadja Winery and Vineyards produce cool climate Cabernet Sauvignon, Sauvignon Blanc, Chardonnay, Malbec and Pinot Gris on the fertile volcanic soils of the Southern Highlands. The rustic stone cellar door is in a gorgeous setting with views over the vineyard. In winter, there’s a cosy wood fire, and you’re welcome to bring a picnic and enjoy it in the charming setting. Joadja Distillery is a boutique business in the early days of production. Distilling has a long history in the valley. 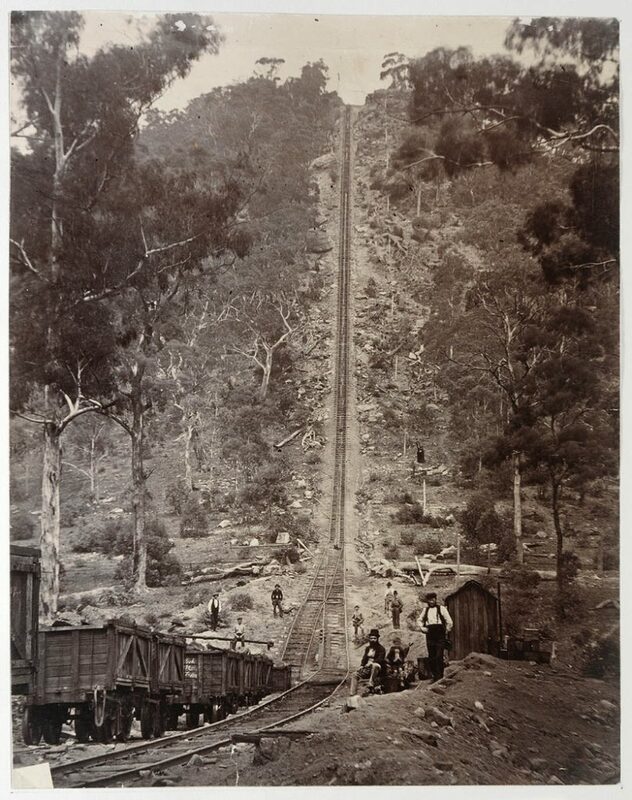 The first settlers in the Joadja area were miners from Scotland, who were proficient in the making of sly grog. These days, the family who run the distillery have tapped into their Spanish heritage, sourcing ex-Oloroso and ex-Pedro Ximenez butts to mature their whisky – which also happen to be the kind of barrels that the Scots rated highly for maturing whiskey too. Visit the cellar door to learn how the distillery produces a truly unique Australian Whisky – there are free guided tours on offer and a café on site as well. The Joadja region is one of nine Southern Highlands Food and Wine Clusters to be unveiled, and Joadja has been flagged by Australian Traveller among “The 100 most amazing places you haven’t been to yet”. Included in the highlights of the abundant cluster are browsing at The Loch Farm Stall and local farm-gate trail; dining fireside in the Book Barn at Bendooley Estate and wine tasting at Tertini. A short drive away is the charming historic village of Berrima another one of the highlights of the Southern Highlands. The well-preserved village abounds with colonial-era sandstone buildings bursting with gift and specialty shops, fabulous galleries, top-notch restaurants and beautiful wineries. From Canberra, take the Federal Highway and then the Hume Highway towards Sydney. At the Mittagong exit from the Hume, turn left onto the Old Hume Highway and then right onto Wombeyan Caves Road. Follow this for about 5km until you see Handleys Lane, which will lead to Joadja Road. Follow Joadja Road for about 11kms until it ends in a cattle grid and dirt road. The dirt road will get you to Joadja Town’s entrance. The site of Joadja is owned by the company that operates Joadja Creek Heritage Tours, the Joadja Distillery and Joadja Cafe. The site is only open on open days which happen several times a year, for special-purpose events (like the open day for photographers on 28 April 2019) or for private groups by appointment. Recommended for: anyone with an interest in history, ghosts, Australia’s early days, and wine, food and whiskey lovers. Do you know of any so-called ghost towns in our region? Let us know in the comments.